INFTA is involved in a range of media activities related to Public health and, more specifically, to the benefits of Forest Therapy. On this page, please find some of the latest news regarding INFTA and Forest Therapy. We have also compiled a number of RSS news feeds from related sources. A string of events has been organized jointly with the Royal Botanic Gardens in Melbourne. If interested and if you wish to experience a guided Forest Therapy walk, please book here one of the following two-hour Forest Therapy walks conducted by INFTA-Certified Forest Therapy Guides and supervised by the INFTA-Accredited Training Provider In My Nature. Another successful international training workshop was conducted 6-10 March at Pallotti College, Victoria/Australia. The five-day INFTA Forest Therapy Introduction which forms the beginning of the six-months comprehensive, mentored and supervised INFTA-Certified Forest Therapy Guide Training was joined by an international and diverse group of participants originating from Singapore, Australia and Colombia. Another successful international training workshop was conducted 28 November to 2 December 2018 at Pallotti College, Victoria/Australia. The five-day INFTA Forest Therapy Introduction which forms the beginning of the six-months comprehensive, mentored and supervised INFTA-Certified Forest Therapy Guide Training was booked out with an international and diverse group of participants joining us from as far away as New South Wales, Queensland, Malaysia and Belgium. 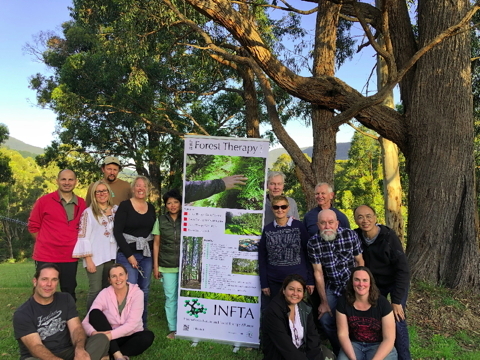 Have a look at the recent articles published in the Sydney Morning Herald, The Age and the The Canberra Times about INFTA and the Public health benefits of Forest Therapy. 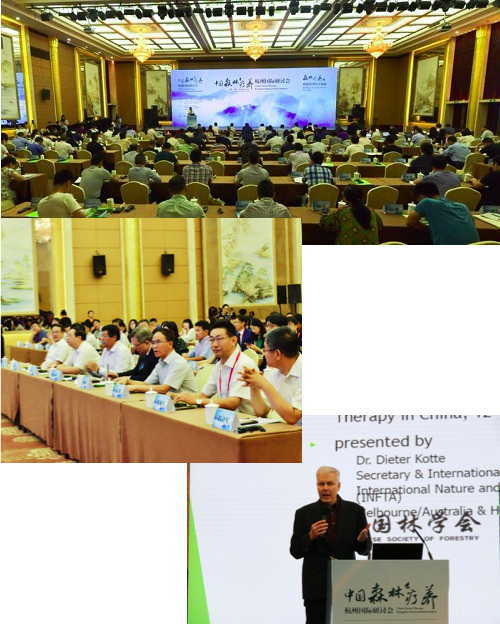 INFTA’s Secretary, Dr. Dieter Kotte, was privileged to be invited to the Hangzhou International Workshop on Forest Therapy as international expert and keynote speaker. On recommendation of Prof. Dr. Qing Li, the leading expert in Forest Medicine in Japan, Dr. Kotte was invited by the President of the Chinese Committee of Forest Therapy to attend the landmark event in Hangzhou, the provincial capital of Tonglu. In his opening remarks, Mr. Zhao Shucong, Chairman of the Chinese Society of Forestry, the oldest scientific association in the Peoples Republic of China, underlined the importance which Forest Therapy will play in the years to come. In his keynote address, Dr Kotte called for the implementation of international standards with regards to research, training and raising Public awareness about Forest Therapy. Both INFTA and the Chinese Society of Forestry, represented by the Chinese Committee of Forest Therapy, are working on a Memorandum of Understanding to fuse their efforts nationally and internationally. Susan V. Joachim, INFTA’s President, stressed the importance of Forest Therapy during the “Nature is Good Medicine” symposium organized by Parks Victoria in Melbourne, 31 August 2018. 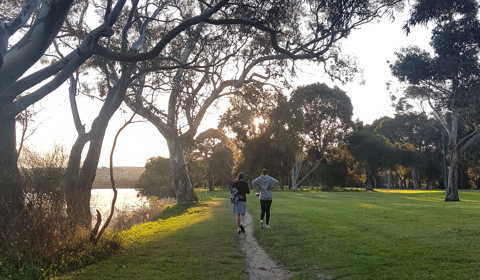 In his opening speech, Jeff Floyd, Chairman of Parks Victoria, underlined the possibilities of Forest Therapy as evidence-based, efficient and low-cost Public health practice. In his concluding remarks, Parks Victoria CEO, Matthew Jackson, suggested that Victoria needs to embrace activities like Forest Therapy to counter contemporary health issues across the state. The symposium offered an ideal start-up platform to raise more awareness about the manifolds benefits of Forest Therapy as a Public health approach. Please take note of this interesting event in Athens, Greece, scheduled 8-11 May 2019. As the President of the Organizing Committee of the conference, Dr Christos Gallos, points out, human health and wellbeing are vital socio-political and Public health issues for today and for the future. They vitally define our lives. 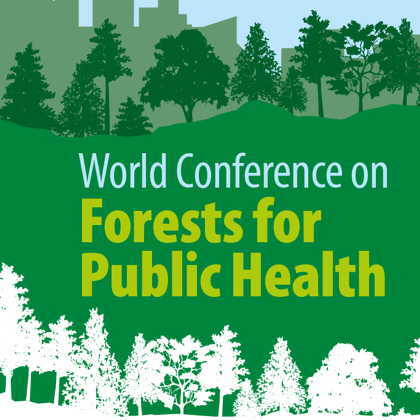 Forests, urban forests, and green spaces can have a significant influence on the health and wellbeing of many people. We might look at them as a kind of health insurance! Further information and registration info can be found here. 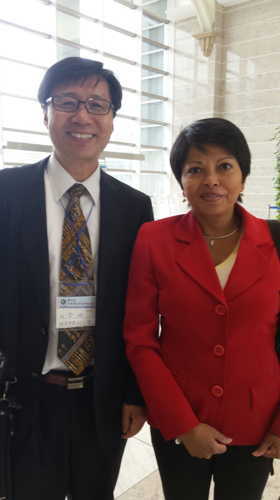 Susan V. Joachim, INFTA’s President, has visited the Republic of South Korea for talks with Prof. Dr. Won Sop Shin, former Minister of the Korea Forest Service. Here, Professor Shin welcomes Mrs Joachim at the National Center for Forest Therapy at Yeongju. Intense meetings coupled with outstanding hospitality and generosity by the Korean hosts were complemented with refreshing and revitalizing Forest Therapy and Nature Therapy applications. 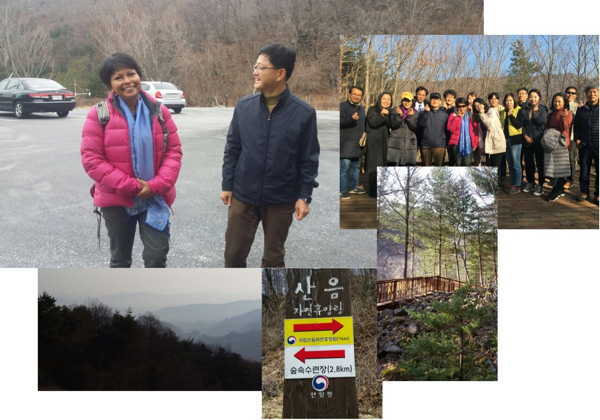 INFTA and the Korea Forest Service are expected to collaborate in future on a wide range of important aspects in the area of Forest Therapy, Forest Medicine and Public Health. During her speech at the INFOM Symposium 2018 in Tokyo, Susan V. Joachim, INFTA’s President, advocated for international standards and intensified networking in the area of Forest Medicine and Forest Therapy, particularly with regards to research, training and PR. Here, Prof. Dr. Qing Li, the President of INFOM and leading researcher in Forest Medicine welcomes Mrs Joachim cordially to the symposium. Professor Li and INFTA deliberated a number of concrete steps how to collaborate closely in future.